The ultimate bundle kit will without a doubt efficiantly organize your garage. 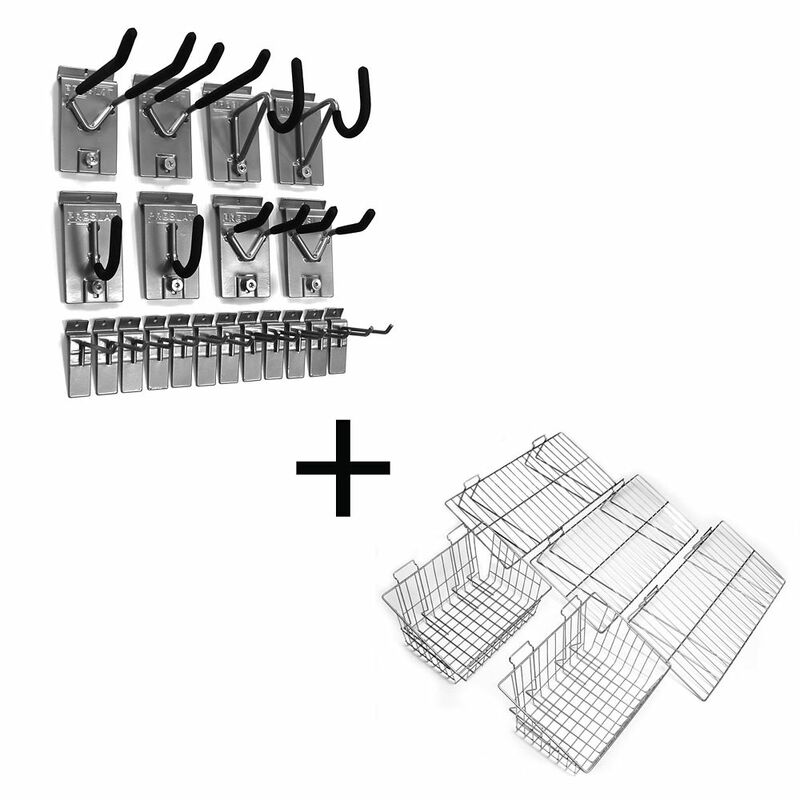 Packed with 20 of our most popular hooks and a 5 piece shelf and basket kit. Proslat's metal shelf and basket kit was designed to give you optimal storage solutions all within a value-added package. This duo is lightweight, high capacity, and has rounded corners for safety. Proslat's Hose and Cord holder, 2-pack, is perfect for storing hoses, extension cords, ropes, and other equipment. It is made of robust heavy duty steel, powder coated in Proslat silver finish and rubber cushioned loop. It is great for organizing your garage or shed. Wall Storage Solutions - Ultimate Bundle Kit The ultimate bundle kit will without a doubt efficiantly organize your garage. Packed with 20 of our most popular hooks and a 5 piece shelf and basket kit. Proslat's metal shelf and basket kit was designed to give you optimal storage solutions all within a value-added package. This duo is lightweight, high capacity, and has rounded corners for safety.